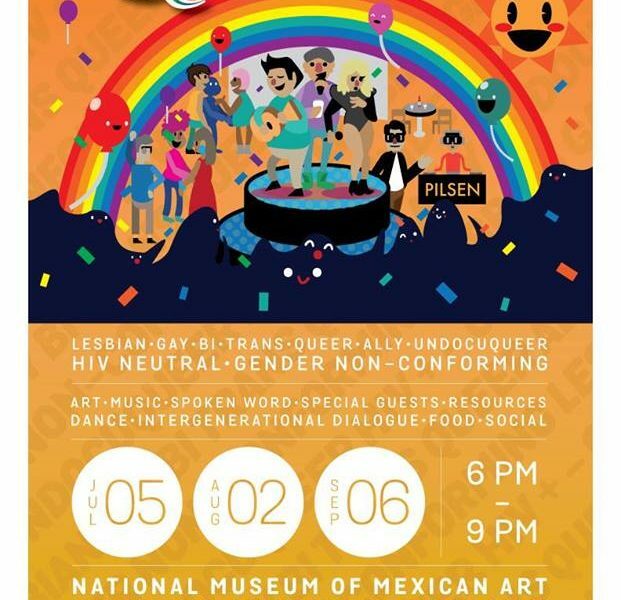 The August edition of Vives Q(ueer), an evening of Latinx LGBTQ trailblazers, performers and allies, took place this past Tuesday at the National Museum of Mexican Art. This year the summer series is spotlighting the stories of trans members of the community. The evening opened with special guest Joseph Betancourt, who recounted coming out trans at a young age and living on his own since the age of 13. He is now president of one of the top real estate companies in Chicago. In an effort to promote understanding of the trans community, Betancourt came out as a transgender man in an April interview with Windy City Times. The inspirational interviews were followed by a series of performances by poets, musicians, and dancers, including artist and activist Benji Hart who blended fierce words with vogue movements. He explained to the audience, “I was really moved by Channyn’s words of finding resilience and drawing from the strength of those who came before us. Vogue for me is a way of channeling that energy and finding that in myself and my community. The next Vives Q will take place on Tuesday, 9/6/16 from 6:00 PM to 9:00 PM with special guests Reyna Ortiz and Myles Brady. For more highlight videos of past Vives Q, check out Gozamos’s YouTube channel. For the full 2-hour event of the August edition, check out the recording on Vives Q’s Ustream channel.